March 26, 2015 – Millions of images of celestial objects, including asteroids, observed by NASA’s Near-Earth Object Wide-field Infrared Survey Explorer (NEOWISE) spacecraft now are available online to the public. The data was collected following the restart of the asteroid-seeking spacecraft in December 2013 after a lengthy hibernation. NEOWISE is a space telescope that scans the skies for asteroids and comets. The telescope sees infrared light, which allows it to pick up the heat signature of asteroids and obtain better estimates of their true sizes. 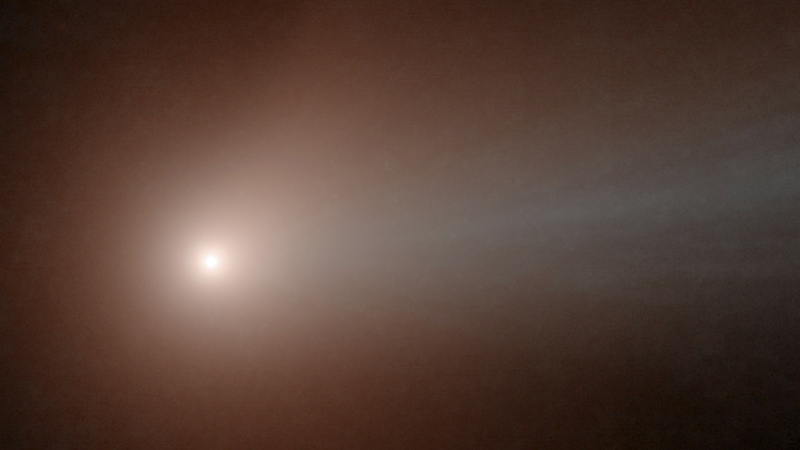 As a result, NEOWISE can see dark asteroids that are harder for visible-light surveys to find. Nearly all of the NEOWISE discoveries have been large — hundreds of yards, or meters, wide — and very dark, similar to printer toner. When NEOWISE’s infrared data on an object is combined with that of a visible-light optical telescope, it helps scientists understand the object’s composition. NEOWISE always looks in the dawn and twilight skies — the direction perpendicular to a line between Earth and the sun. This unique vantage point makes it possible for NEOWISE to spot objects that approach Earth from the direction of the sun, unlike ground-based telescopes that are only able to view the night sky. Originally called the Wide-field Infrared Survey Explorer (WISE), the spacecraft was placed in hibernation in 2011 after its primary mission was completed. In September 2013, it was reactivated, renamed NEOWISE and assigned a new mission to assist NASA’s efforts to identify the population of potentially hazardous near-Earth objects and help characterize previously known asteroids and comets. It provides information about the sizes and compositions of these objects.